GT Foulis & Co Ltd. First edition 1972. 199 pages & well illustrated with photographs. Fine condition hardback book and Fine condition dustjacket. Clean, bright and tight. 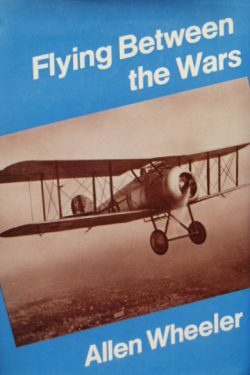 Flying Between the Wars is an entertaining glimpse of life as a young officer flying with the Royal Air Force in the 1920s. Air Commodore Wheeler’s personal story recalls the first years of his long and distinguished career, beginning with his induction into RAF flight training school in 1925 and continuing through operational fighter squadrons and participation in the RAF Hendon air shows to his first overseas posting in 1929. Not only does he create a vivid and colourful picture of RAF life, but he provides a remarkable insight into what it was like to fly many of the Service aircraft of the day. 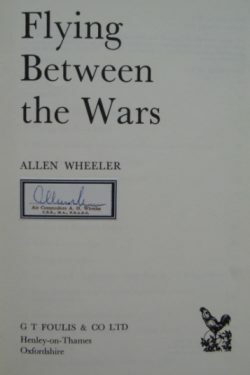 Allen Wheeler had first-hand experience of most of the principal aircraft; Avro 504s, Bristol Fighters, Sopwith Snipes, Siskins, De Havilland Hyenas and many others. He gives graphic accounts of the characteristics of the aircraft, how they were flown and the kind of scrapes—some amusing, some dramatic—that young fliers (including himself) found themselves in while handling them. Well leavened with anecdote and humour, Allen Wheeler’s story also has a serious backbone. It is a unique record of life in the Royal Air Force during that crucial period when the Service’s resolute qualities were first forming—qualities that were to face such an acid test in 1940. 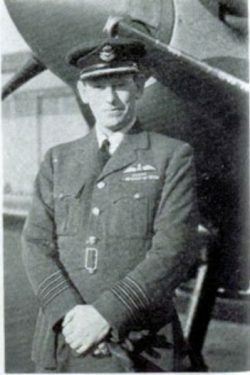 Allen Wheeler was commissioned in the RAF in 1925 and trained as both an engineer and pilot before attending Staff College in 1933. During the Second World War he commanded the Performance Testing Squadron at Boscombe Down and the Experimental Flying Department at Farnborough. Later he was involved in development flying for the airborne forces before the invasion of Sicily, and he commanded RAF Fairford during the Normandy landings. Post-war, he commanded RAF Cyprus and the Aeroplane and Armament Experimental Establishment at Boscombe Down. In 1947 he became the Shuttleworth Trust’s first Aviation Trustee, holding that position until 1980. He also bought the Spitfire 1 AR213 (G-AIST) in 1947 which starred in the Battle of Britain movie and is a stalwart of the air show circuit. He died in 1984. An entertaining book that covers a wealth of flying incident that will make stimulating reading for all those interested in aviation. This excellent book is particularly enhanced by the neat mounted signature of the author.